Originally formed from four farms, Indian Creek was developed by Mr. Julian Rogers, prominent cattle farmer of the mid 1900's. 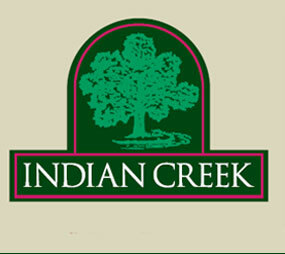 Today Indian Creek is owned by the Parrish family’s Clay Ward Agency (hyperlink) and is run by its President, Shack Parrish. Over the years the reputation of the farm has grown, to where Indian Creek has become a familiar and respected name in the international thoroughbred community. In the heart of the legendary landscape of Kentucky's thoroughbred region lies Indian Creek. Located in Bourbon County, breeding ground of thoroughbred champions for over a century, Indian Creek is a full service Thoroughbred operation encompassing 1200 acres, 16 barns, and numerous spacious paddocks.